Houses infested by these pests are likely to incur structural damage. Homeowners consider them not only as a nuisance but a huge struggle to maintaining their property’s structural integrity. Subterranean termites or white ants can cause a major problem if left unnoticed and uncontrolled. Old, wooden structures like fences, walls, ceilings and skirting boards are most likely susceptible to termite infestation. 1. Block off their entry points. Termites have high cravings for papers, cardboard boxes, pulps and other materials that contain cellulose. Stacking them near the ground surface gives them an opportunity to feed on these objects and make it as their nesting place. Removing unused cardboards is advisable to prevent these pests from pestering your house. Weep holes can also become their entry points. Before they build mud trails and gain access to your premises, make sure to keep it clean and free-flowing as termites are less attracted to air flow. Conducting regular inspection is advisable especially for older structures. 2. Check your drainage system. Moist soil highly attracts wood-eating pests. Dampwood termites, as the name implies, often stay at wet areas. Water taps that leak and air conditioners that drip fluid demand regular checking to ensure that moist doesn’t mix with soil. Broken pipes also signal an impending problem. Urgent repairs are required for this particular issue. Not only does it improve your structure, but it also guarantees your safety. It is highly advisable to double check if there are water leaks to help safeguard your house from such pests. 3. Conduct a pre-construction treatment procedure. If you have plans to renovate, it’s better to use building materials such as cedar and treated pine to make it less attractive to termites. You can also follow this advice when removing affected wood species and replace them with termite-resistant materials. Pest controllers start by using anti-termite products to treat the foundation. Property owners wanting to prevent termite invasion require professionals to apply the best solution to guarantee pre-expulsion. The next steps focus on treating the soil, its surrounding area and the loosened part to stop termites from going between the ground surface and the structural foundation. 4. Do regular wood inspection. Scheduling a home inspection is important to identify issues present in your walls, floors and roofing systems. A professional property inspector conducts proper checking to spot common signs of wood-destroying insects like termites. Through this approach, you’d be able to determine potential problems and come up with a plan that counter-attacks their existence. Asking for a written report or a certificate from the concerned inspectors can give you peace of mind that your house is free from these pests. 5. Keep your yard clear from dead plants or trees. Tidying your front or backyard doesn’t only drive away pests but also provides an advantage to the environment. Dead trees are a common nesting place for white ants. Removal is advisable to prevent them from building a nest. Tree stumps can also attract these pests. Calling an arborist can give you the much-needed assistance to get rid of these professionally. Warm areas such as gardens are also a target for invasion. Make sure to maintain its cleanliness before it’s too late. White ants are classified as social creatures. Among the 300 different species, Coptotermes acinaciformis tops the list of Australia’s destructive termite groups. Getting them out of the way is essential to help your property stand the test of time. 1. Licence-holders. You can be certain of high-quality workmanship when the job is entrusted to a fully licensed pest controller. During the consultation, it’s advisable to verify their credentials. 2. Level of experience. Do their previous clients recommend them for their commitment for quality and safety? You can measure their expertise through their exposure and knowledge in the industry. 3. Products and techniques. One important factor to check is the efficiency of each product that they use. Are they equipped with tools such as termite detection radar, moisture and thermal sensors during the initial checking? inspect what genus is present at your home. determine all other affected areas. develop a specific strategy to remove the pests. 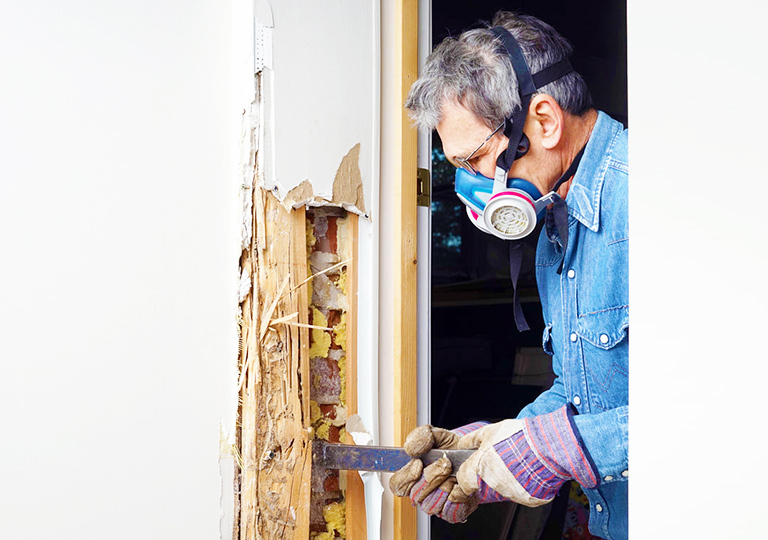 The best and most practical way to protect against termites, particularly if you’re building a new house, is to set aside a budget for pre-treatment procedures. But if your house is older, having it checked for termite infestation is necessary to keep your property structurally sound and protected. In any form of treatment, prevention is always better than cure. But if early preventive measures were not taken, giving experts a chance to protect your home now against these pests can bring relief and peace of mind. How Much Does It Cost to Carry Out a Kitchen Remodel?